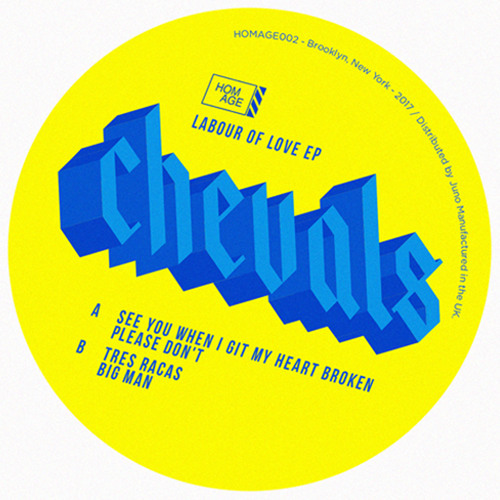 The second project from NYC label HOMAGE comes from little known French producer extraordinaire, Chevals - who until this point, has self-released only a handful of songs. His first full length EP contains four absolute stompers spanning disco, house, latin house, and afro house. The Labour of Love EP, if played, will result in an uncontrollable urge to party as hard as humanly possible. Enjoy.